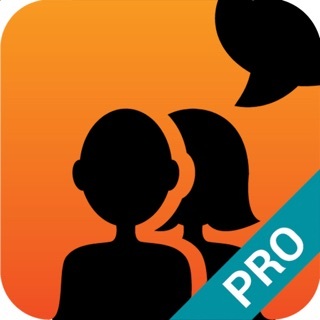 FreeSpeech is an app to explore the English language! Drag and rearrange picture tiles, and FreeSpeech will convert them into a perfectly grammatical English sentence. Explore how tenses, sentence forms, parts of speech, and other grammatical properties change the structure of English -- and it's all visual! * love language as much as we do! 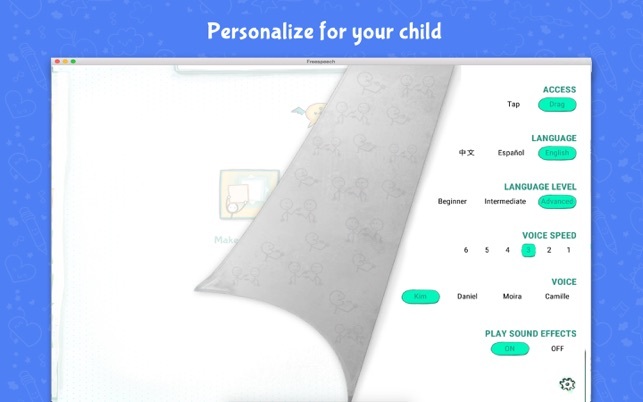 - You can even use a Spanish interface, so you throw Spanish words at it and it creates perfect English sentences! FreeSpeech is aligned with Core Curriculum language, speaking, and writing comprehension goals. 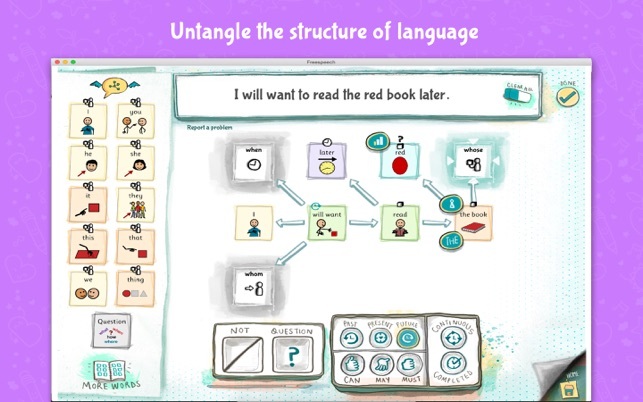 It allows children to create grammatically correct sentences by visually mapping pictures, all the while learning the structure of language. Because FreeSpeech automatically provides the link between ideas and words, children can say anything they want - visually! 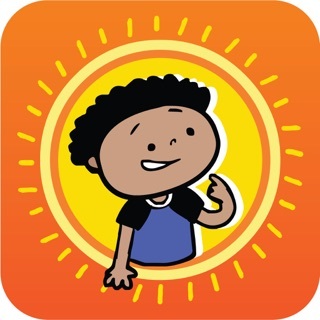 FreeSpeech features more than 2,000 symbols from Symbolstix, and is ideally suited to use alongside other AAC, articulation and education apps that use these lovely symbols. 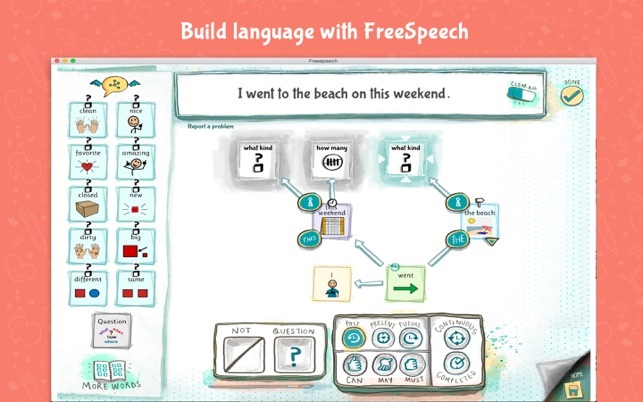 Developed by an interdisciplinary team including SLPs, educators, and researchers with over 100 years of collective experience, FreeSpeech is the most advanced language learning technology currently available. The technology behind FreeSpeech was the subject of a TED talk by its creator Ajit Narayanan which has been viewed more than one million times. The development of FreeSpeech, combining engineering with generative linguistics, earned the team recognition as one of the world's Top 35 Innovators from MIT Technology Review. 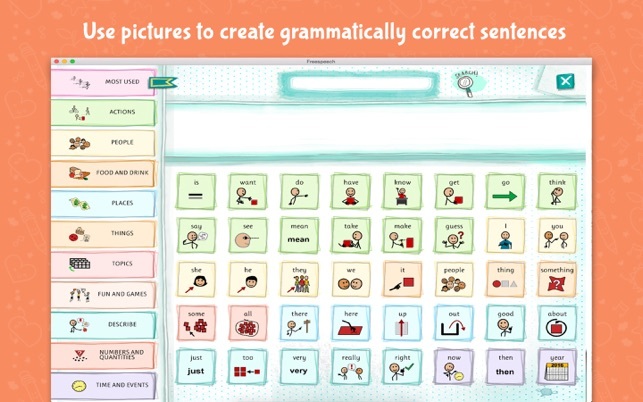 "A wonderful tool for Speech Language Pathologists or ESL teachers working with children in grammar and sentence structure." 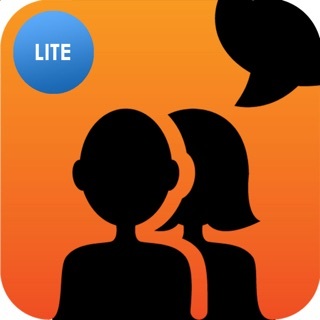 Download FreeSpeech and build your child's English language skills today! 1. 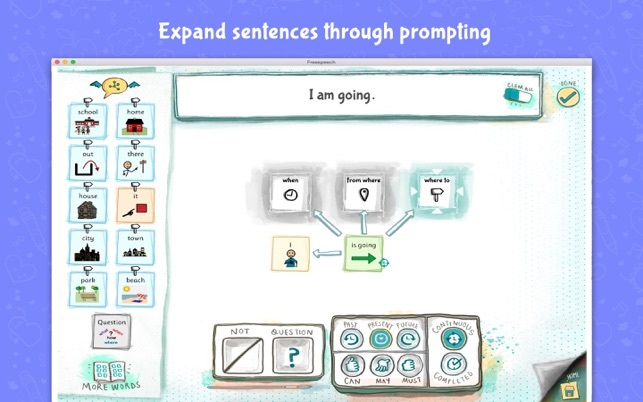 Introducing Sentence box animations - You can see an animated view of how the sentence changes when the tense changes or new words are added or it's converted to a question. 2. Introducing FreeSpeech challenges - You can take up one of the pre-created challenges to create a sentence before the clock runs out! Or you can create your own sentence and challenge someone else to create it. 3. And yes, this version of FreeSpeech eliminates lots of bugs which had led to the creation of funny, grammatically incorrect sentences. Mit drei Englisch lernenden Kindern hat mich diese App spontan angesprochen. Die Umsetzung erscheint mir sehr gut gelungen und ich sehe hier viel Potential für eine wirklich tolle Anwendung. Warum (nur) zwei Sterne? Leider lässt die technische Umsetzung insofern zu wünschen übrig, als dass schon nach kürzester Zeit der Nutzung (ein Satz genügte bisher), die CPU Last derart in die Höhe schnellt, dass auf meinem MacBook Pro 13" von 2015 der Lüfter hochdreht und der Strom-Verbrauch massiv ansteigt. Für eine Nutzung auf dem MacBook Air der Kinder - die oft fernab der Steckdose damit lernen - ein echtes Problem. Was mir auch nicht ganz so gut gefällt, ist die Suchfunktion, die zumindest bei meinen Suchen nur bei exakter Übereinstimmung Treffer lieferte. Trotzdem ein Lob an die Entwickler_innen, die hier eine wirklich schöne App erschaffen haben. The app needs high CPU usage even on an IMac 2016 turn on the fans of 100%. Please fix this issue and then will be a fine app.